French Bishop Jean Baptiste François Pompallier arrived at Hokianga. His party celebrated their first mass three days later. 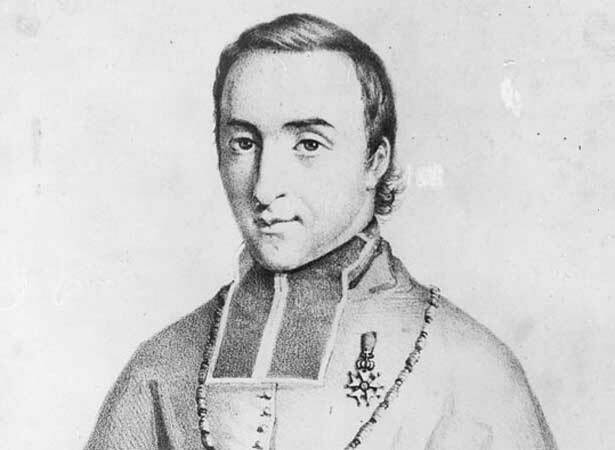 Pompallier left France in 1836 with four priests and three brothers of the Marist Order to lead a pioneering Roman Catholic mission to western Oceania. His arrival in New Zealand alarmed James Busby, the official British Resident, who feared that it was a forerunner to a French attempt to colonise New Zealand. The English Church Missionary Society had established a mission in New Zealand in 1814. The first Wesleyan (Methodist) mission followed in 1823. Both denominations wanted Māori to become Protestant and were somewhat hostile to the French mission. Māori responded to this rivalry in various ways. If one tribe or hapū adopted Catholicism, a rival often adopted Anglicanism. Māori sometimes hedged their bets: some members of a community became Anglicans, others Wesleyans or Catholics. Pompallier attended the Treaty negotiations at Waitangi in February 1840. He was sympathetic to Māori concerns and asked Lieutenant-Governor William Hobson to promise to protect the Catholic faith. This pledge to protect and recognise not only major Christian denominations but also Māori custom is sometimes referred to as an unwritten ‘fourth article’ of the Treaty. Pompallier died in France in 1871. In 2002 his remains were returned to New Zealand and interred at Motutī, on the northern shore of the Hokianga Harbour. A printing factory is the last remaining building of the mission headquarters at Russell. This is both New Zealand’s oldest Catholic building and oldest industrial building. We have 14 biographies, 4 articles, related to Catholic missionaries arrive at Hokianga.